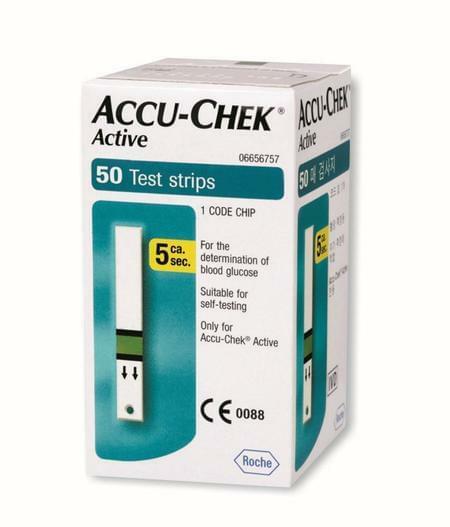 Check your blood glucose level at home with this pack of 50 test strips designed for Accu-Chek Active glucometer. Simple and effective, these test strips will help you regularly keep tabs on diabetes. Easy and Hygienic : These test strips are designed to spread the blood quickly and hygienically over the test area. Easy Re-Dosing : If the amount of the blood on the strip is insufficient, you can reapply it within 10 seconds after the first application. Versatility : These strips are suitable for self-testing at home, as well as for hospitals.